It’s mealtime. You are peckish or thirsty after a stroll or an activity... You will find in the Grand Parc the restaurant or the refreshment room that is right for you. Savour varied menus, hot meals, starters and puddings indoors or on the terrace, refreshment or ice cream to takeaway... Follow your desires ! Restaurants and refreshment rooms receiving you! 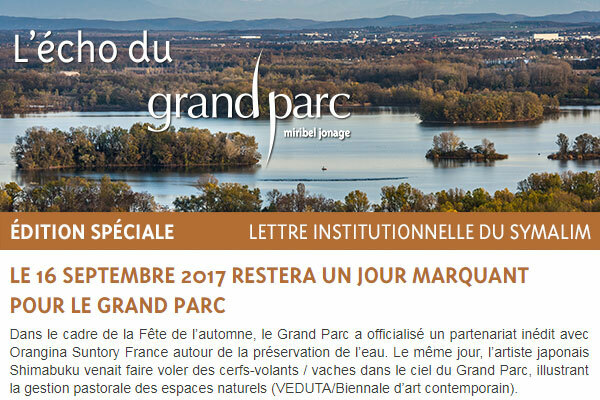 Les Saveurs du Grand Parc receives sportsperson and multi-sport season holders, golfers, but also bathers within L’atol’, the outdoor activity centre of the Grand Parc. Facing the Grands Vernes, by the lake of the Eaux Bleues, enjoy the quietness and the wonderful view on the lake that offers La Mama for have something to eat or to drink. Come to have lunch, dinner or drink within La Baraka, facing the lake of the Eaux Bleues. This is a change of scene for sure ! Stop in Le Fontanil to savour a crepe with sugar or with jam. For the most gourmands, the sandwiches will be able to fill up. Drinks and ice creams will cool off us.